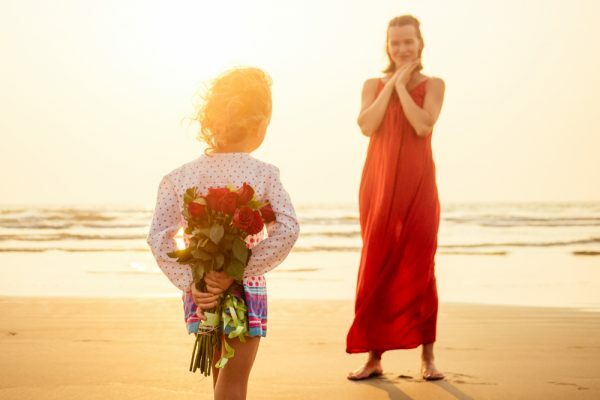 To make this idea reality, we’ve listed a few fun Mother’s Day vacation ideas that will provide your mom with unforgettable memories and a heart filled with joy! While spending time with family may be enough, we all know what they deserve. One of the many things we truly take pride in is providing our guests with amenities that turn a typical vacation into one they will never forget.  Did you know that you can search for properties at Emerald Isle Realty by amenity? 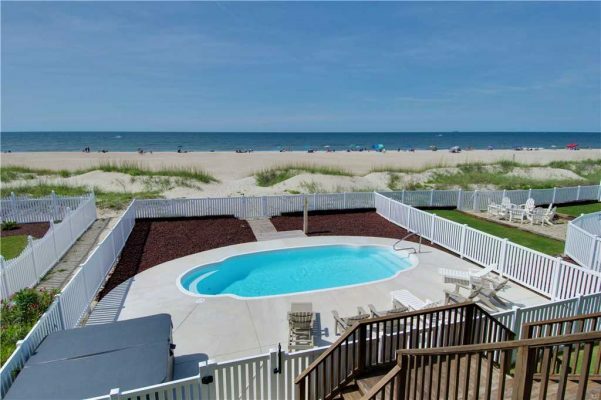 Pin-point the greatest rentals you know mom will want to stay at whether it be an oceanfront cottage with direct beach access, a condo with a clubhouse with a private pool, or a large vacation rental for the entire family. You can look at properties that have private pools or for some relaxation time, a hot tub that overlooks the ocean. Other amenities you can search for include jacuzzies, community pools, linen services, elevators and rentals with game and media recreation rooms. One of the best ways for mom to get out and about while she’s visiting the Crystal Coast is by bike and there are plenty of bike shops that have rentals available. Whether she’s more of a cruise down the beach type or prefers trails through town, biking in Emerald Isle is simple and easy on the eyes. If you plan to visit in early May, consider taking mom to check out the Emerald Isle Bikes and Blooms event that coincides with the Bike the Banks cycling events. 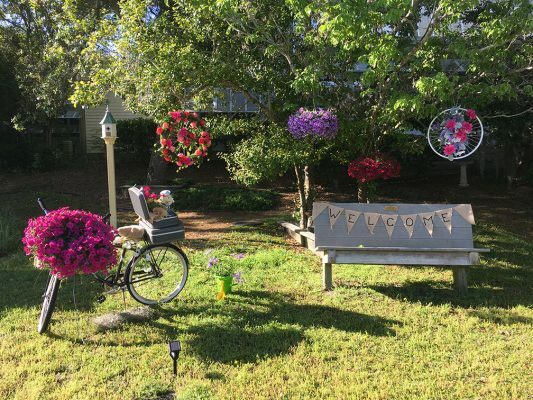 Starting at Emerald Isle Town Hall, mom will be able to ride her way through a parade of different floral arrangements around town and at local businesses. At the end, she’ll be able to vote for her favorite arrangement at the Welcome Center for the People’s Choice award. Sitting around the table enjoying a meal with the family is something every mom cherishes. But this Mother’s Day, she should be treated to some of the finest dining and coastal cuisine in Emerald Isle. Emerald Isle has some of the best restaurants and eateries in the area, all of which serve up fresh seafood caught along the Crystal Coast. From seafood and barbecue to Italian cuisine and some of the best sweet treats, it’s a guarantee that there will be something on the menu that will delight her inner foodie. Nothing beats quality family time and more often than not, that time is spent in the kitchen. So, if you would really like to pull on her heartstrings, take advantage of your vacation rental’s fully-equipped kitchen and prepare her a family meal while she kicks back and relaxes. With dishwashers available, you can clean the kitchen too! If there’s one thing all moms have in common, it’s their expertise of tracking down a great deal and shopping until they drop. Here on the Crystal Coast, it’s no different. 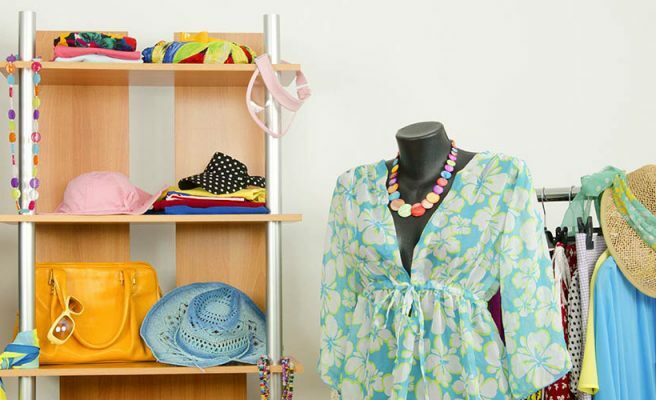 Treat mom to some retail therapy and check out some of the local boutiques and shops to find the latest in coastal-chic fashion along with some unique souvenirs to take home. There is also a variety of quaint antique shops that have plenty of rare finds if your mom is a seasoned antique shopper. A boat trip around the Crystal Coast is a relaxing and scenic activity that is simple and a winning idea. There are plenty of local businesses and charters that offer a variety of leisure cruises, so mom can spend as much time on the water as she wants with the ones she loves most. If she’s outdoorsy, book her an ecology tour and she’ll be able to see the area’s natural wildlife as well as enjoy dock-and-go exploring. For the more competitive moms, fishing charters are available that can take you to all of the fishing hotspots along the Crystal Coast while providing a memorable ride and experience. Emerald Isle and the Outer Banks is rich with historic sites that anyone on vacation would enjoy seeing, especially mom! Many of the nearby small towns have historic sites like Beaufort and Harker’s Island. 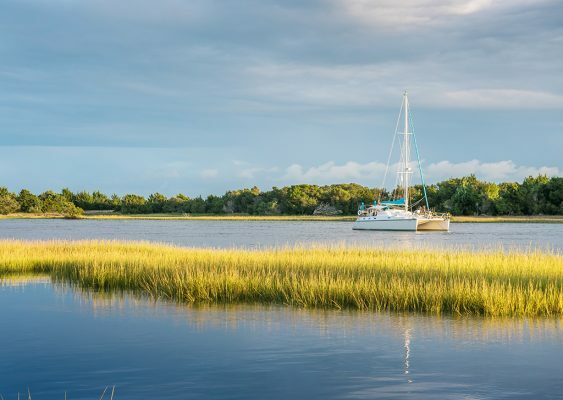 Other areas like Cape Lookout National Seashore and Fort Macon State Park are great for day trips that offer sight-seeing and glimpses into the history of the Crystal Coast. Your mom deserves to experience the best the Crystal Coast and the Outer Banks has to offer. Be sure to check out our list of vacation rentals that are available in time for a Mother’s Day getaway, or surprise her this Mother’s Day with a planned summer vacation.